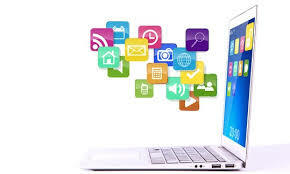 The Diploma in Computer Applications through distance education is a course that allows working executives to study computer applications while they are working. We are offering DCA Diploma in Computer Application Course in distance education mode in various cities in India such as Delhi, Noida, Gurgaon, all about 30 more states and cities and abroad. Students who have studied this course can work in the IT industry, in diversified companies managing their IT infrastructure, etc. With new developments in technology, jobs for people with qualifications in this field will never cease. With new technology being discovered every day, the IT industry is the place to be in the near future. People opting for this field as a career should be techno-savvy and should like to work on their computers the whole time. This course equips people with the skills to work in the IT industry. NIMT - Neptune Institute of Management and Technology offer Diploma in Computer Application (DCA) Program through Distance Education mode. Course Fee of DCA is Rs. 19700/year.